I’ve long enjoyed the simple but joyous Cabernet Franc of the Chinon area in France’s Loire Valley. In Bordeaux and Chile, it is blended, along with Merlot, to soften Cabernet-based wines. But as a varietal, it hasn’t received the welcome it deserves. Too bad, because it’s softer, lighter nature makes it a perfect red for summertime enjoyment. It’s food friendly too - adaptable enough for both red meat and chicken. 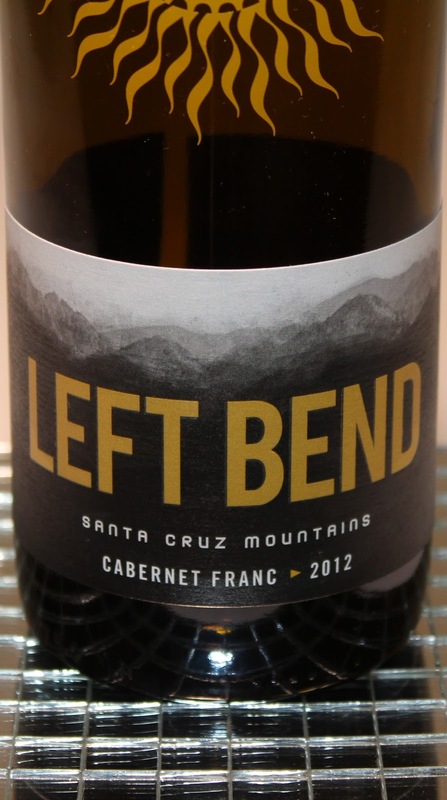 It can be served slightly chilled – all of which brings me now to Left Bend’s 2012 Cabernet Franc. Location, location, location: Left Bend is in the Santa Cruz Mountain, a delimited American Viticultural Area (AVA) acknowledged as having distinguished grape growing conditions. Here, on ridgetops and hillsides, the cool coastal climate extends ripening of the grapes until fall which allows complex flavors to develop on the vine. Regardless of where you stand on the issue-line of terroir (and what that includes), people can’t argue that wine making begins in the vineyard. And the sun at high elevation hilltops against the cooler temperature and coastal breezes makes for delicious Cabernet Franc. The “soil” and incline of hillsides generally makes for grape farming that can produce outstanding wines. Despite my background as a Master Gardener, however, it’s not ALL in the vineyard. And the contribution of the winemaker is that of a chef: it can make or break the finished dish. At Left Bend, grapes are harvested by hand. Fermentation is 45% whole cluster, 55% whole berry. Aging is a long 17 months in barrel, of which only 10% is new (American) oak. No overpowering vanilla, dill, butter, smoke or other taste elements are integrated through using too much new oak. The long aging period in mostly neutral oAk softens tannins and rounds the wine, while allowing the juice to remain true to the grape’s character. Natural malolactic fermentation is allowed, softening the acidity and providing a richer mouthfeel. My condensed description of the process should include the mention that the bottled wine is aged an additional four to six months before release. The result is a wine reflecting both a sense of place and its varietal character. I invited two other wine aficionados for the tasting (“The Chicago Wino,” another wine reviewer, and Tony, who had worked in the retail wine business). We enjoyed pairing the wine against several meats. Tony was first to point out that the wine had no vegetal weediness. (Unripe grapes of the varietal yield vegetal characters that are unpleasant: more weedy than green peppery). 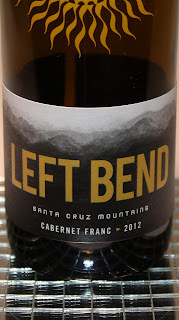 Left Bend’s growing conditions and vinification produce a well-integrated wine with notes of plum, cedar, dark cherry, violet, mocha and a hint of cassis. Other assessments include raspberry, blackberry, vanilla and tobacco along with floral aromas. Every palate is its own and correct in its own assessment, but the conclusion that this wine was delicious was unanimous. 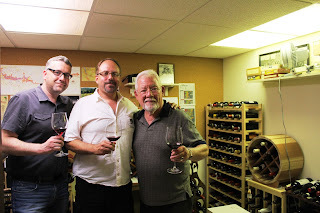 *Follow WineMizer on Facebook for mini-reviews of wine, recipes, fun facts, news and all items about wine.